Why does my vacation face look like this? My “O.R. Litmus Test” I apply to life and what it means. My my memory bucket is one of my most precious possessions. I'm A Writer, and I Have Opinions. Are creatives able to have public opinions? I say yes. This is Franck and I on a mountaintop in Greece. We thought it would be hilarious to adopt the constipated / deeply philosophical expressions of Greek statues. You know, a combination of contemplating a certain paragraph of Plato and / or suffering the digestive issues created by eating too much baklava. Why did this pose inspire us? No idea. Did it make us laugh? Definitely. The one thing I know is this - it really is a fine thing to find a partner with a similarly deranged sense of humor. Here’s another photo of The Weirds. This is inside the grounds of the Vatican in Rome. It was so hot that morning that we tried to move as quickly as we could from patch of shade to patch of shade. We decided we looked like proper Italian mafia in our sunglasses and our matching linen tops. Very Bella Figura. We started to talk like we imagined mafia members do (we were light years off, I’m sure). My mafia name was Larissima and Franck’s was Francesco. We found this hilarious (in retrospect, possibly heat stroke) so we took this photo. Because we’re weird like that. One of the things I love writing the most in my books in that quirky banter between Franck and me, or my fictional characters such as Clovis and Cerise. Dialogue is where I have the most fun. Those sections feel like they write themselves, whereas description feels like trying to high jump with concrete blocks attached to my legs (or, you know, without concrete blocks, because I am a terrible high-jumper). Besides making life infinitely more fun, I believe sharing a sense of humor is one of the most powerful aphrodisiacs in existence. Having someone who is the same kind of weird as you = priceless. Join Laura’s Grapevine to receive French recipes, sneak peeks, exclusive information, as well as special contests and giveaways. 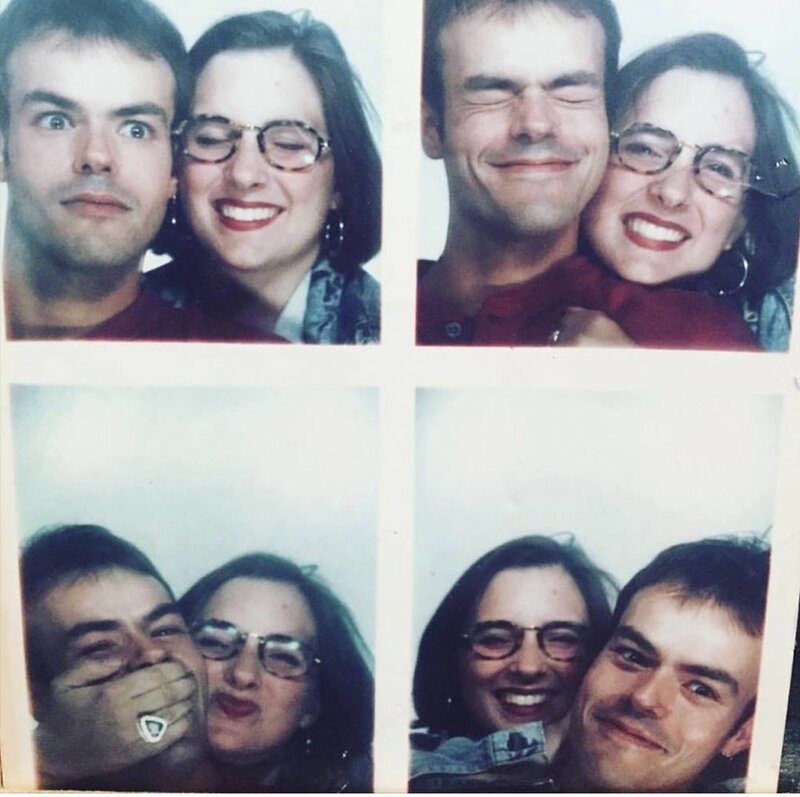 Want to read more about how I met and fell in love with Franck in France? Just click here to check out my bestselling Grape Series. Experience the beauty of winter in the vineyards of Burgundy, France. I have never received so many compliments on my appearance as when I was terminally ill.
More French Habits, aka "Frenchitude"
It's May 1st, which in France is a National Holiday and a symbol of new beginnings. 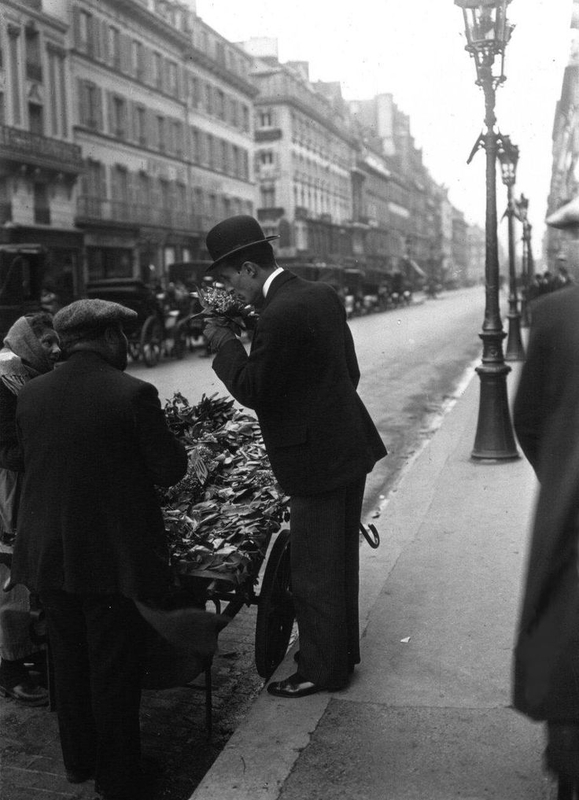 On May Day, it's a centuries old tradition to buy bouquets of lily-of-the-valley (called muguet in French) on the streets all over France. The lily-of-the-valley is symbolic of the love, joy, and new life Spring brings. Fittingly, today My Grape Paris is finally available for digital download or to purchase in paperback. This book, the fifth in my Grape Series, is also very much a Spring miracle. Wednesday of last week was one of the best days of my life, even though it had a wretched beginning. I sat in a medical examination room at the transplant centre in Calgary, waiting for my doctor to arrive. My hands were shaking, my heart was pounding, and there was definitely some PTSD throwing a party in my nervous system. Forty minutes later I walked (OK, more like danced) out of the transplant centre with the verdict that I was thriving. Nyssa's liver was happy in my body (but not nearly as happy as my body is to have Nyssa's liver - I can guarantee that). Just goes to show you that a day that starts out dire doesn't always stay that way. As we pulled into our driveway after the flight home I spied an Amazon box on our doorstep. The proofs of My Grape Paris had arrived...this miracle book that at times last year I honestly thought I would not be alive to finish. I think a set a new speed record for ripping open this box of proofs. Even if I sold zero copies of My Grape Paris, it would still be a complete triumph to hold this book in my hands. I tore open the box, grabbed the copy of top, and held it to my chest. I made a strange sound that was somewhere between a yelp and laugh. I may have cried. Thanks to my lovely readers, I have in fact sold hundreds of copies of My Grape Paris on pre-order, which makes me so grateful to have reached so many people with my writing. My readers are, quite simply, the best. A wee bit of an emotional moment to be alive with this completed book in my hands. If you look close you can see my eyes are a bit shiny. Today I want to take a moment to say a huge MERCI to you all. By reading my writing, you made me feel supported and understood throughout these crazy six years. You are the reason I am the bestselling writer I am today, and that actually I am still here at all. Writing - which means you readers I wanted to share my stories with - was my lifeline. For that, I'd like to give you this virtual bouquet of muguet, along with a massive merci. I wish you a joyful May 1st with much love, joy, and Spring magic. Thanks too from these crazy kids, living together in Paris, trying to make their dreams come true but unsure whether those dreams can be realized together. Photos taken by us during our year in Paris, in one of the métro's many photomatons. 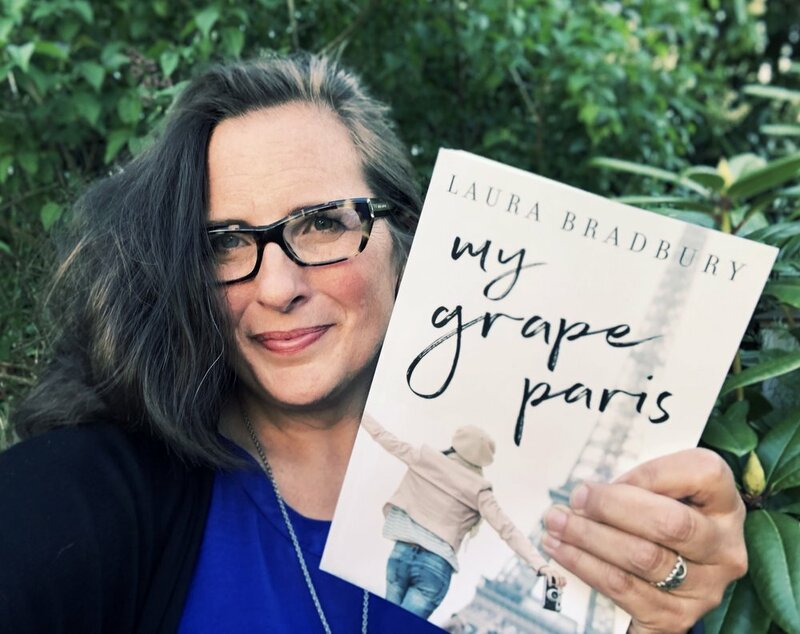 If you already have your copy of My Grape Paris or plan to buy one soon, I hope it provides many hours of reading joy, romance, daydreams, and laughter. Enjoy recipes, sneak peeks, treats, inside information, special contests, and much more. Want to read more of my writing? Grab your copies of my bestselling Grape Series in paperback or digital by clicking here.